Some shots are just not important enough to bother the expensive actor with.for example, if all you need is a close-up of a body part that’s not the face, somebody standing around the set can step in. And sometimes that someone is the director. In this case, cinematographer Larry Fong was answering questions on Twitter when he revealed that director Zack Snyder made a very small cameo playing “Bruce Wayne’s hands” in the part of the movie where Bruce goes to watch a fight club as part of his plan to track down the White Portuguese. He then picks up a phone and there’s a close-up of it; according to Fong, the hands holding the phone are Snyder’s. 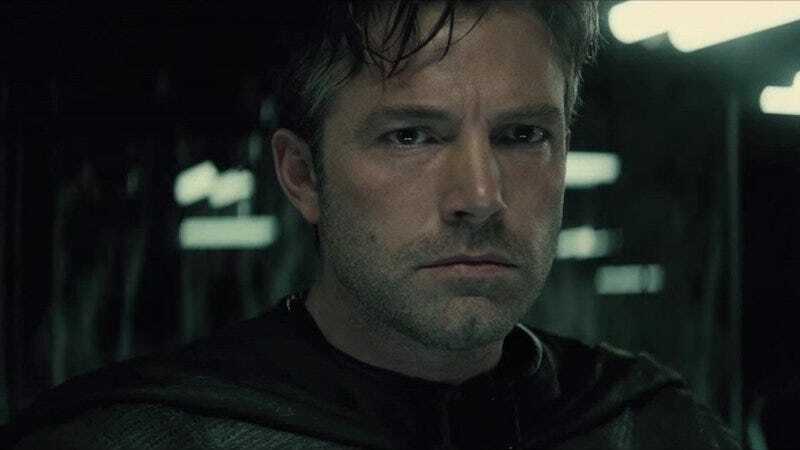 So Bruce Wayne in the DC Expanded Universe is 95% Ben Affleck, 5% Zack Snyder. And now you know.